Very surprising shape and support! Now I'm curious to see how it would look under my T-shirts during the summer. Thanks for the review, Love4Pollinators ! After a few hours, I'm aware of some compression. And, I found myself vigorously loosening the straps. Still it is very comfortable, but I need a bit more space. https://d28qt14g3opchh.cloudfront.net/smileys/icon_wink.gif" alt=";-)" /> Adding a full extender has dramatically improved the fit. Strangely, this cup design is shallow in the top which forces my breasts into the bottom and creates a flat plane across the top. Not only that, it pulls a bit too tightly across the top near the outer quadrant. However, adding a full extender dramatically lessened the compression and created a very comfortable, supportive bra. 34DDD has side support sandwiched between the outer layer fabric and inner fabric. This is super comfortable and helps keep breast tissue "front and center." The design is not ideal for center-full, close-set breasts, but workable if you can tolerate a slight east/west look. The fabrics and absence of seams makes this a great choice for those with sensory sensitivities. I so want to love this bra. When my breasts expand, 34DDD becomes uncomfortably tight. So, 36DDD was a logical choice. But, with the scaling, the top of the cup under my arm tugs too tightly unless the straps and band are fully loosened. Considering I have a 28" underbust, this isn't a good solution for me. Sigh. 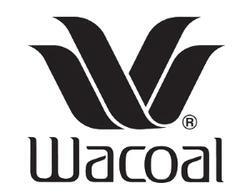 Runs incredibly small for Wacoal. I could not even get the girls completely into the cups. Very odd, flattening shape.